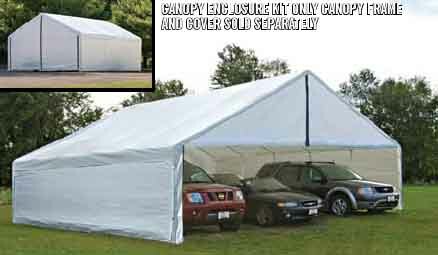 Canopies for Any Occasion, Portable and Tent Canopies On Sale! 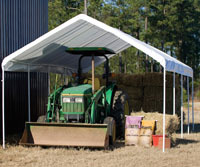 Canopies can safely cover your truck, tractor or boat, Carports and More has the next one for you. 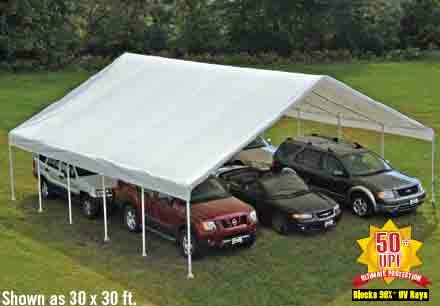 If what you are looking for is a shade cover that you can take along on family camping trips, Carports and More has you covered. 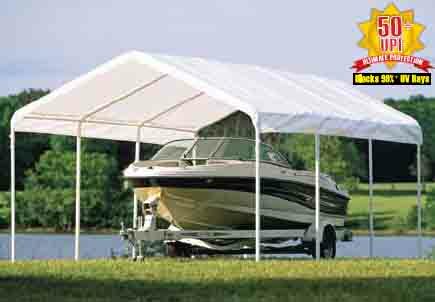 All of the shade covers found here are reliable and stylish. 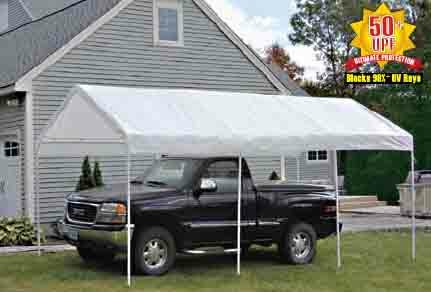 Any style you choose will meet your needs of convenience and offer you a portable shade solution that is easy to assemble in minutes. Canopies offer a world of convenience for everything from full garage kits to sporting events and wedding parties. For people who travel to shows for arts and crafts, a good portable canopy is a must have. Our collection of pop-up's work great for this sort of application. When a vendor has to unload the car of all of their valuables, table, and chairs; an outdoor canopy that is easy to set up is one way they can make the day go easier. Likewise, families who have kids in sports can also gain great benefit from good pop-up canopies. 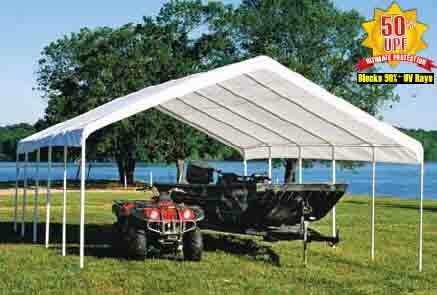 These portable canopies are ideal for moms and dads who relocate from one field to another on long tournament days when sun shelter is a must. It is recommended that individuals shield their skin from the sun during the times of day when the sun is at its highest. 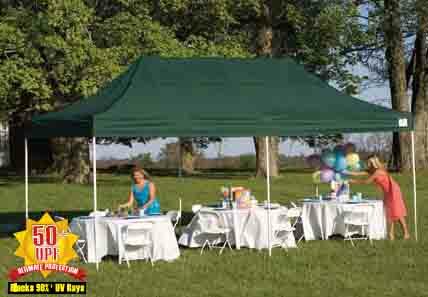 Anyone with a child in sports knows that there are many occasions when having a portable outdoor pop up canopy can be a must. Stay protected and enjoy the game with one of our sturdy outdoor tent canopies. Wedding Canopy from Carports and More! There's nothing more intimate than a romantic outdoor canopy for a wedding. 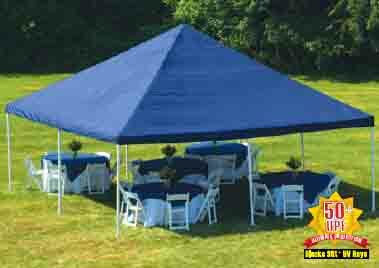 There are many people who would like to plan their special day to take place either at their home, the home of a loved one, or at a local scenic area where there is no outdoor sun shade canopies. Our canopies can make a huge difference in any wedding party that wants to maintain an elegant feel in an outdoor location. Our portable tent canopies are easy to construct and sturdy once in place, so the bride and groom and all their guests can get down to the business of celebrating.